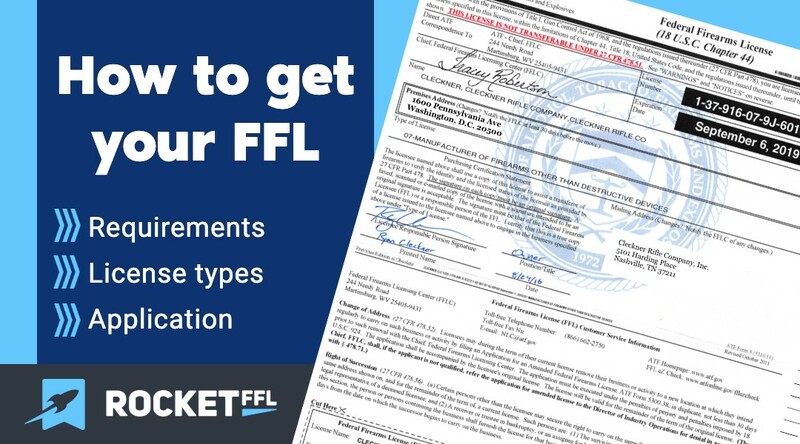 Getting your FFL license is easier than you think. In less than a couple of hours of work, four easy steps, and less than $200, you could become a legal weapons dealer or firearm manufacturer in the United States. Getting a Federal Firearms License (FFL) is a good move. 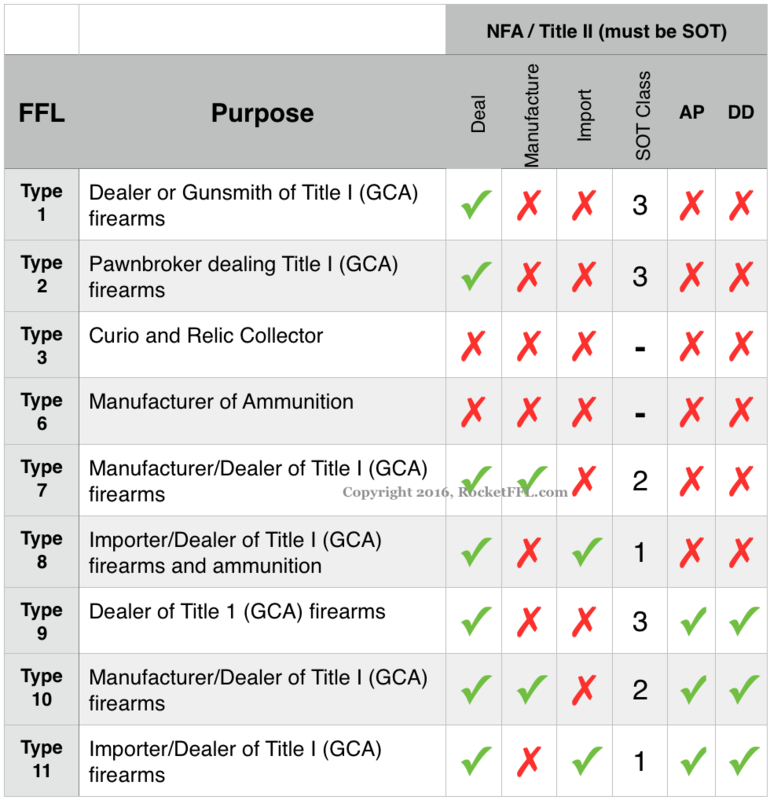 Depending on the FFL license type you get, you can make firearms (yes, even full-auto machine guns and silencers), you can import firearms, and you can be an FFL dealer selling weapons as well. With the right steps, you can even sell them internationally. 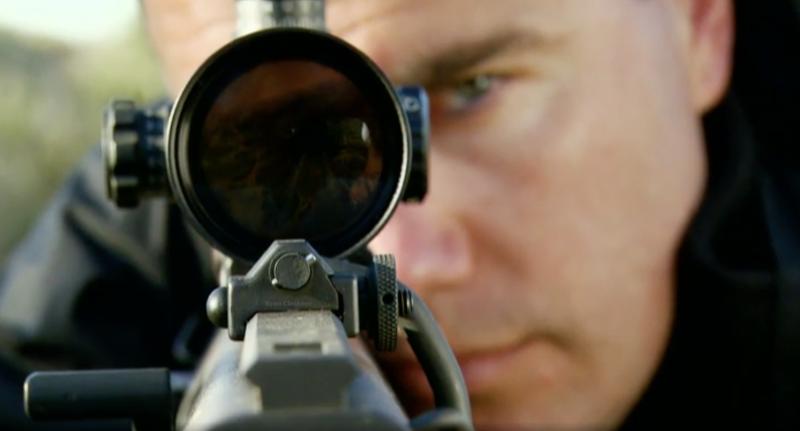 Yes, you can become an international arms dealer! The best part is, with only two firearms sales, you could easily make back your money and never have to pay marked-up prices from gun stores or FFL dealer transfer fees. Instead, you’ll be able to buy directly from distributors and have the firearms shipped directly to you – this can save you hundreds of dollars per gun. Even better, you can now be the FFL Dealer collecting transfer fees and charging a markup on your FFL firearms sales. You know you want an FFL, but you’re not sure how to get one. Good news! Follow these four steps and you’ll be up and running in no time. If you can possess a firearm and are at least 21 years old, then you can get an FFL. The requirements for getting an FFL are that easy. The ATF, and possibly your state, have minimum requirements that you and your business (if applicable) must meet before you’ll get your license to be a licensed firearms dealer or manufacturer. 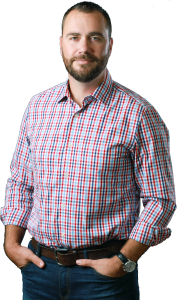 There’s a few nuances that you might need to be aware of if you think that any of these apply to you – especially the “convicted of any crime punishable by more than a year,” “unlawful user of a controlled substance,” and “restraining order” provisions. If you’d like to learn more about these prohibited person categories, see Prohibited Persons / Firearm Possession. There are also some location requirements that may vary depending on your state of residence. Yes, you can get a home based FFL under federal law but your state may have special rules that prohibit it. 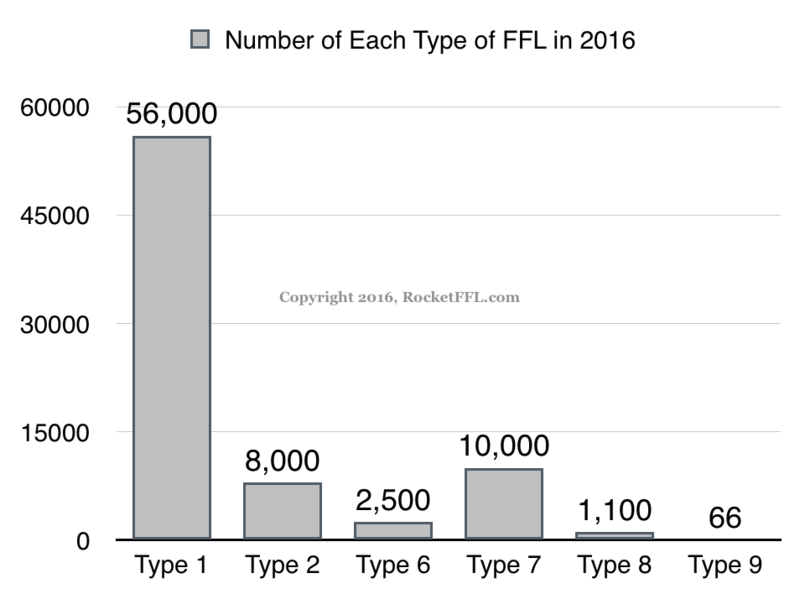 For example, if you’re living in an apartment building in New York city, you probably aren’t going to get an FFL. As long as your local zoning approves of you having a firearms license at the address you choose, then the ATF will give you an FFL! There are a few tricks to getting your FFL at your home – I share all of these and more in the Get Your FFL Guide. The type of FFL you get depends on what you intend to do with it. If you want to deal in firearms and/or be a gunsmith, then you’ll only need a Type 1 FFL. If you want to manufacture firearms, then you’ll need a Type 7 FFL. It’s important to note that a Type 7 Federal Firearms License also lets you be a firearms dealer – therefore, if you want to manufacture and sell firearms, a Type 7 FFL covers both! 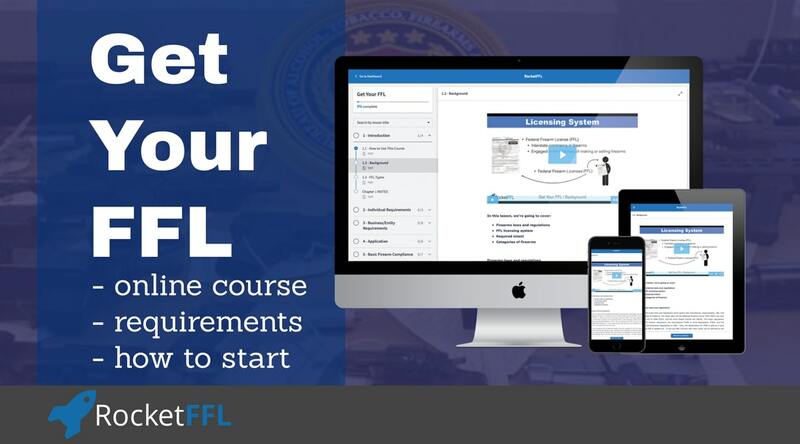 If you’d like to learn more about each FFL license type and what each allows, you should sign up for our Get Your FFL course! The actual process of getting your FFL License can be difficult. However, thanks to online FFL certification courses, it’s never been easier. However, it’s incredibly important that you take the right one. Upon ensuring you meet the requirements for an FFL, have chosen the right type of FFL, and taken your course, you’re finally ready to apply for your Federal Firearm License. Now, the steps to this can be very difficult and may require multiple forms and extra steps depending on your location. However, if you took the Rocket FFL course, you’ll have every detail and access to all the necessary forms in order to get your own Federal Firearms License hassle free. So, there you have it. In four simple steps, you can become a licensed firearm manufacturer, dealer, and/or international arms exporter or importer. I JUST WANT AN FFL SO I CAN BUY GUNS AT A HUGE DISCOUNT USUALLY OVER 150 DOLLARS HECK AFTER A COUPLE I WOULD BE SAVING MONEY. IF I AM AN FFL HOLDER DO I STILL NEED TO FILL OUT A 4473 FORM? ALL I WANT IS THE ABILITY TO BUY WEAPONS I WOULD USE FOR HUNTING INCLUDING SEMI AUTOS SHOTGUNS BOLT ACTIONS ETC ETC AND SELF DEFENSE PISTOLS WHICH TYPE OF FFL WOULD I NEED? You must have a legitimate intent to be engaged in the business of selling firearms. Yes, you can get them for yourself too, however, that may NOT be your sole intent. Id like some clarification on your statement. Whats the reasoning behind not being able to have an FFL solely for personal use? For example, itd be nice not to have to pay another fee because the weapon I want to purchase (a handgun for example) has to be shipped to an FFL holder.. usually a gun shop of some kind, and the purchaser gets charged a storage or handling fee (at least where Im from). I know some states have restrictions for shipping firearms, so is that the main reason or is it more of a federal regulation type deal? Thanks for everything! It is a federal law (and it’s even a question on the FFL application). I explain the nuances of this in our Get Your FFL course (including how occasional business use isn’t “solely” personal use). Awesome! Thanks for the information Ryan, its most appreciated. I am going to school to be a Gunsmith, should I wait on getting my FFL? No – but you should apply at least two months before you’d like to get stared as a gunsmith. Thank you for your ongoing involvement in the firearms community. Seeing that you are on board with RocketFFL I will surely be using them for my FFL application, you have clearly explained and helped me understand many aspects of long distance shooting via your YouTube videos and I have no doubt that the FFL process will be just as thorough. Once again, Thank you for your service and all you continue to do. Thanks for the support, Danny! I’m looking at obtaining my FFL licence and would like to know a little more about your course. I already have the forms to fill out, tho there’s some information on there that I’m not sure how to get, for example, the police commissioner’s contact info and address, do you go over this sort of thing in your course? Do you go through the application possess with people? I would like to be able to buy for personal use and to sell as well. does having an FFL give me any more conceal carry rights than my current CCL? I am a little unclear on which type to get. I would like to open a small shop up, something of a Hobby/Sport for myself and others. I don’t want to be a big store, just a small place that can handle a few guns. I enjoy buying, trying and trading guns for myself and would like a way and means to help others do the same. It’s a great way to make new friends and help people. I don’t want to be a pawn shop but wouldn’t mind “pawning” or loaning money for guns to help. But you never know what the future holds. Thanks, Jamie Ramey. The course should help you decide which is right for you. Definitely not. An FFL is for being engaged in the business of making or selling firearms. It has nothing to do with concealed carry. My question is as follows what if i want to deal online only like via Craigslist for example.. Or one day if i am lucky my own website? But i do not want to have a store front in AZ. SO how can you do that? You’ll still need an FFL and a place to do business from – even if it’s only online. Can I get multiple types of FFL? Absolutely! Check out or course for instructions on how to do that. I just turned 20 in NC and can’t wait to turn 21 so I can get my Type 7 FFL. Is there any work I can get done before I turn 21 to help speed the process? You can start studying/planning now. If I’m buying, say, a bunch of parts online and assembling them, then turning them around for profit, do I need a Type 7 or Type 1 FFL? Seeing as I’m only assembling and no ‘manufacturing’, which one do I need? Assembling an AR-15 with the intend to sell it is definetly manufacturing activity per the ATF. You must have a valid Type 7 FFL. The occasional assembly of AR-15s as a manufacturer per the ATF is not considered to be manufacturing for ITAR purposes under State. Hello Ryan, I’ve been researching / studying firearms. Trying to learn more about them, and I have a question. Is a F.F.L. only for businesses or can anyone get one? So I live in TN and my favorite gun store is in AL. To buy a say pistol there I have to have an AL DL. They don’t have a website to order and ship to a FFL, so with an FFL1 can I walk into that store and purchase? Yes, you could. They could then transfer it to your FFL on the spot and you could take possession. Of course, it’s up to them if they want to do that. But, it’s legal. Also, with your own FFL, you can just order straight from the distributor. Does have an FFL allow for the transfer of suppressors for example to LE in states where they are prohibited from private ownership like CA. I’d like to start an on line then storefront for LE almost exclusively. Suppressors, non-listed handguns, standard cap mags. Ryan, the goal of my having my FFL is to be able to purchase firearms for myselfe as well as doing transfers for people. i was wondering which FFL would be best for me.